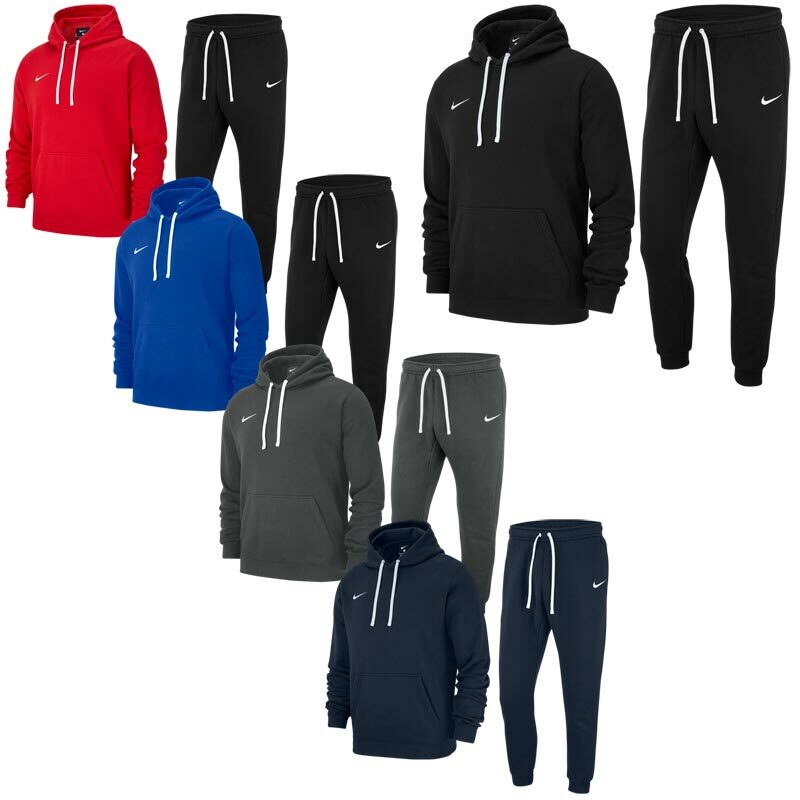 Nike ® Team Club 19 Junior Hoodie Tracksuit manufactured from French terry fabric that provides soft, warm comfort. Ribbed neck, cuffs and hem off a snug fit. External drawcord absent on youth sizes. Brushback fleece provides ultimate warmth. Elastic waist and external drawcord offers an adjustable fit. Ribbed cuff provides a stylish fit. Back welt pocket and side seam pockets.